At River Range we know that the bathroom is your personal sanctuary, a place of wellness, to relax and to pamper yourself, and we tend to this luxury with an offering of a wide range of quality acrylic bathtubs. The River Range bathtubs are spacious, elegant and comfortable, a place to freshen up and to revitalise your body and mind as you would in a retreat by the river. The wonderment that is the river is an inspiration for River Range since it is the wellspring of life; the source of water and food; the centre of the formation of cultures and a place to re-energise and reinvigorate. Accordingly, as a tribute to this natural wonder, every River Range bathtub has been named after the regal rivers of the world. The evolution of the bathroom from a purely functional place to a rejuvenating retreat-like space is embodied in each River Range bathtub. 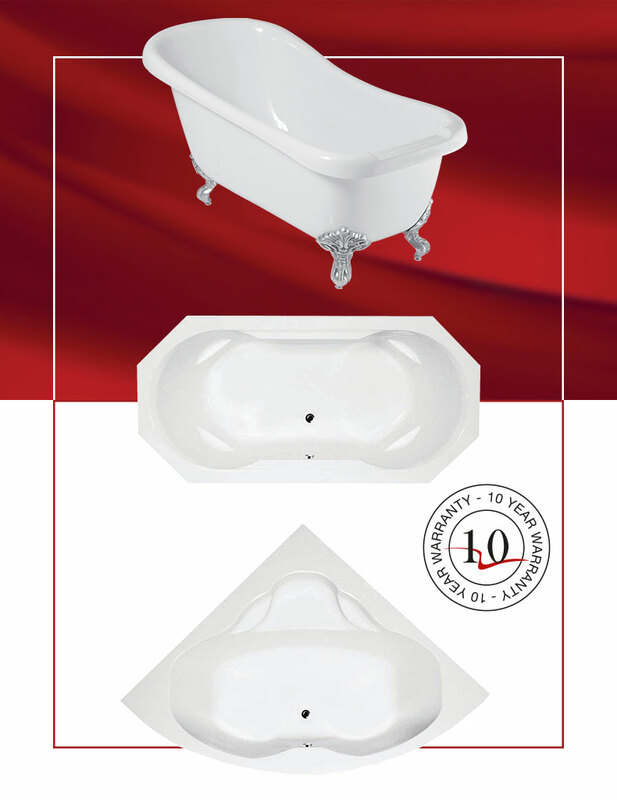 With our range of bathtubs, we aim to provide the experience of feeling revitalised, enlivened and fresh every day. River Range bathtubs are made from the best cross-linked acrylic in the market, making them high quality, chemically stable and 17 times stronger than glass. Easy to care for, easy to clean, repairable and a high gloss finish ensures that River Range bathtubs look brand new for longer. Our range of bathtubs is ergonomically designed in freestanding, corner and built-in styles and are affordable yet durable. As a commitment to our product quality promise, every River Range bathtub is backed by a 10-year warranty. Striking in simplicity and minimalistic design. Freestanding stainless steel designer shower, tap and bath line. Luxury freestanding bathtubs and basins made from DADOquartz.